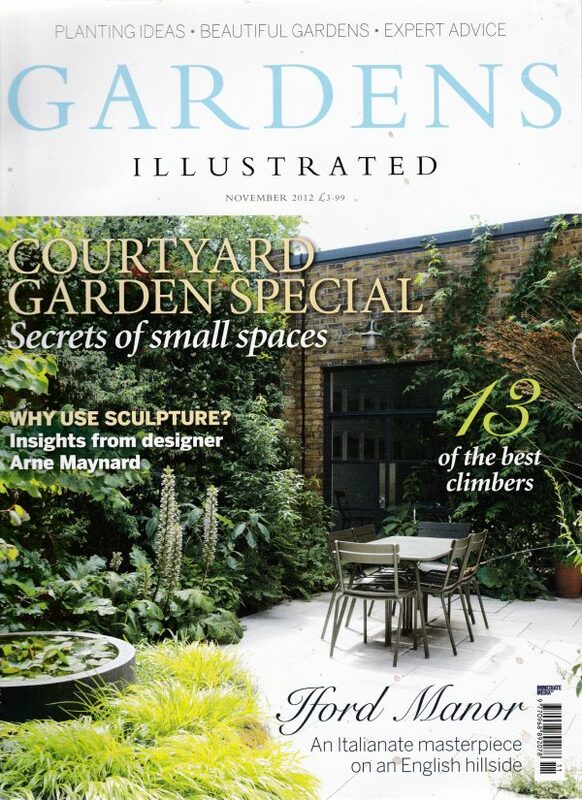 On the cover of the Garden’s Illustrated is Dan Pearson’s office courtyard garden featuring our slate Discus water bowl . 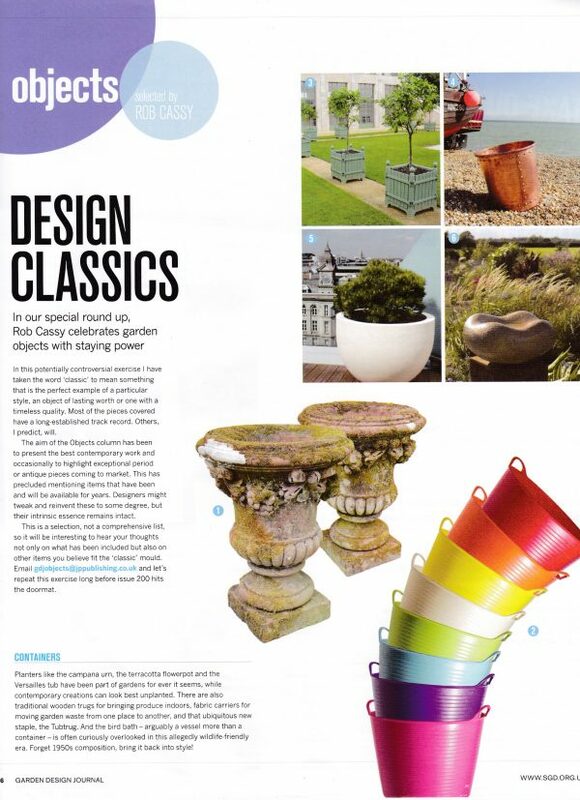 The Urbis Globe planter was chosen by Rob Cassy for the Garden Design Journal’s collection of garden objects with staying power. 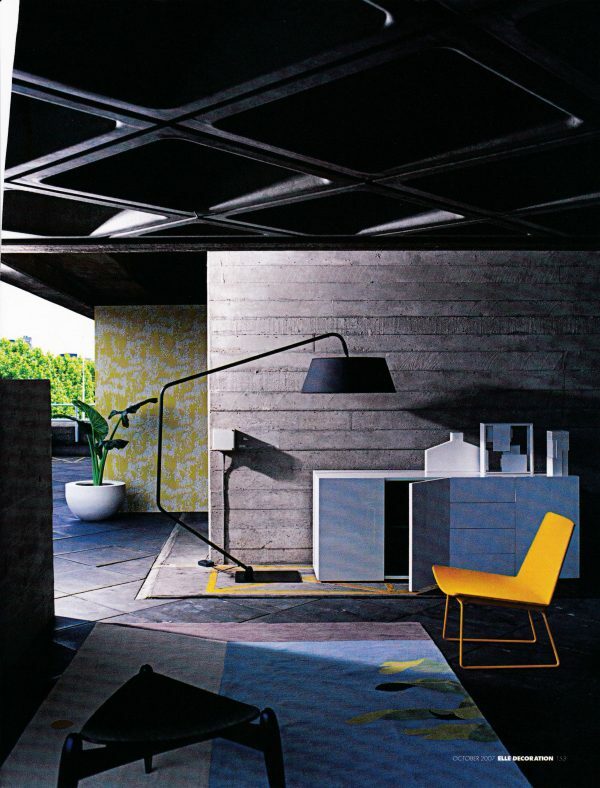 The Mortar 60 planter in white provides a curvaceous shape in this stylish modernist interior/exterior in Elle Decoration. 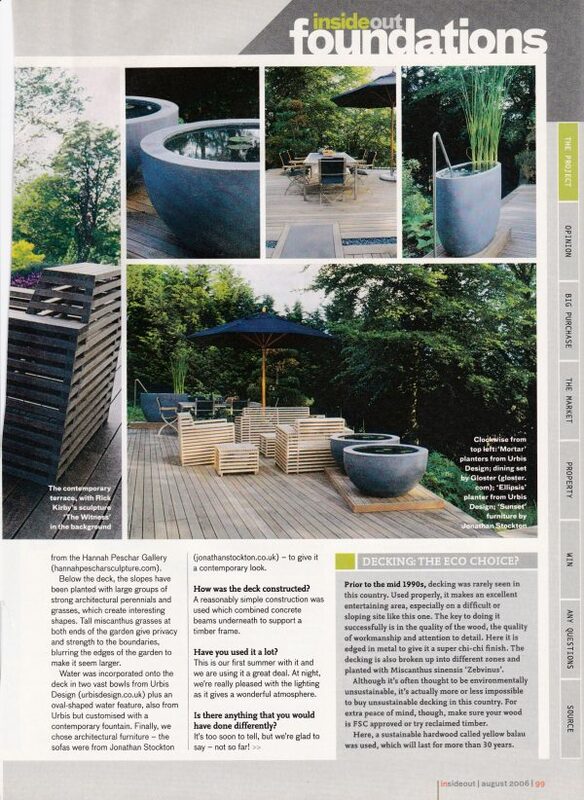 Our Urbis water bowls featured in this garden designed by Anthony Paul as reviewed by Insideout magazine. Anthony was one of the first to use our planters as water bowls to great effect. 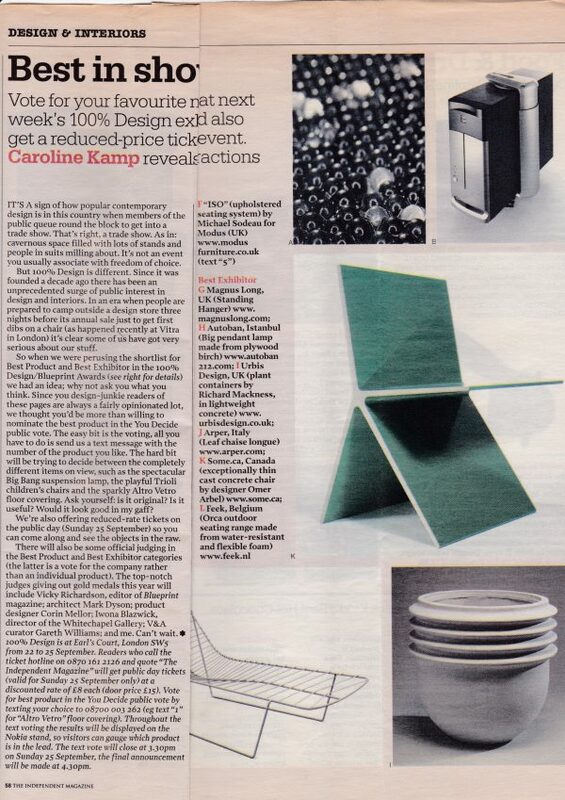 The Independent reviewed the 100% Design show which included Urbis Design as one of the six finalists for the Best Exhibitor. Here is our ‘Orbital ‘ planter, one of our original planter designs. 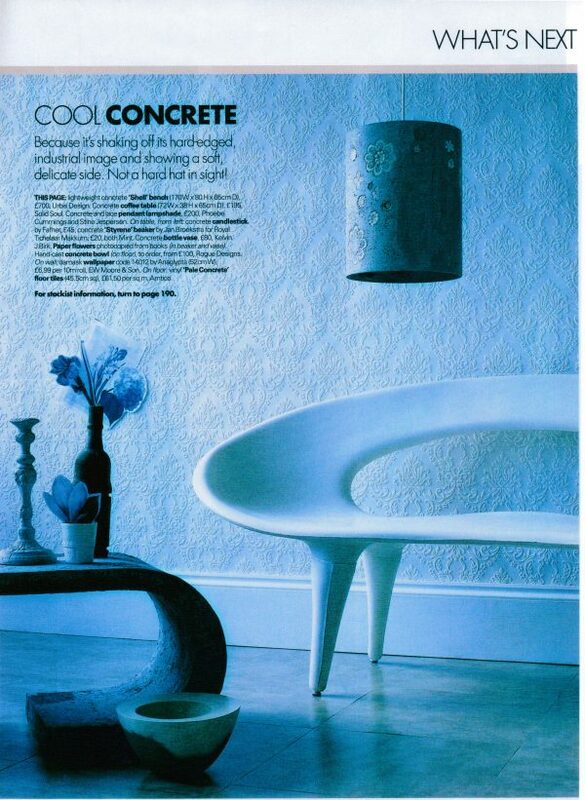 Urbis Design’s Shell Bench has pride of place in Elle Deco’s article about the new more ‘delicate’ side of concrete use in contemporary design products. 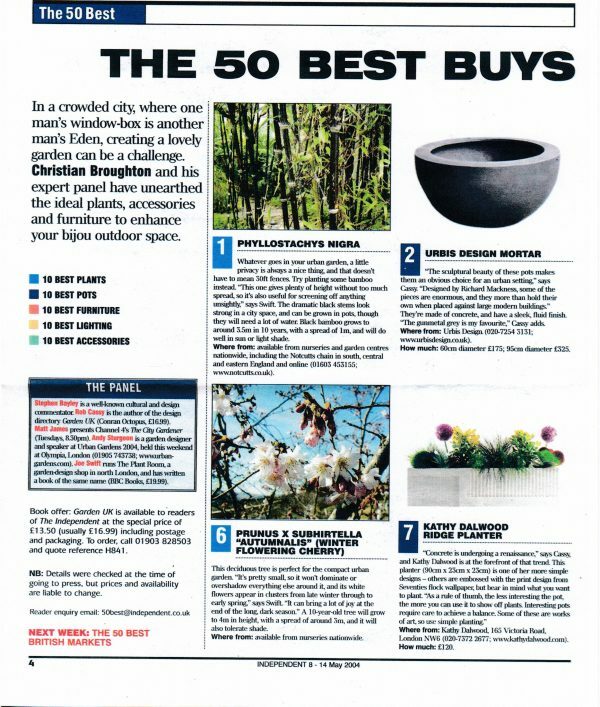 Urbis Design’s Mortar 95 planter was one of the Independent magazine’s 50 Best Buys for the garden. 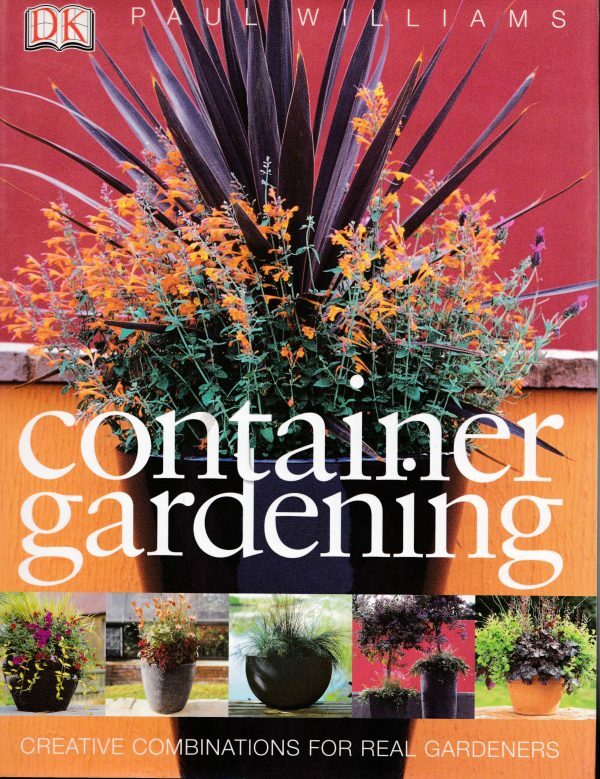 Urbis Design was featured on the cover and throughout the book, “Container Gardening, Creative Combinations for Real Gardeners” by Paul Williams for Dorling Kindersley. 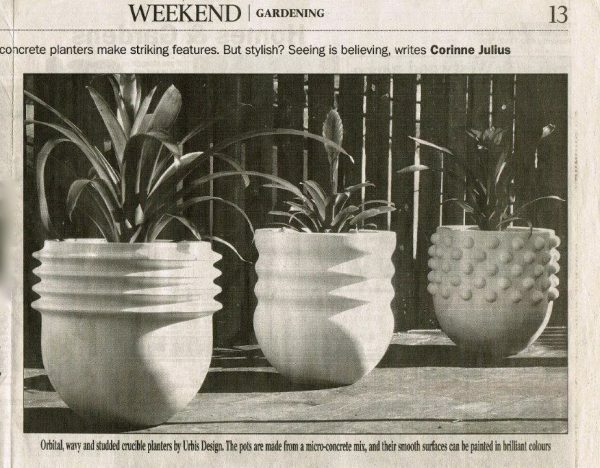 Corinne Julius reviewed our first selection of concrete planters, the Orbital, Studded and Wave Crucibles, for the Times Gardening section: ‘…Most versatile of all, are planters and bowls by Urbis Design’. 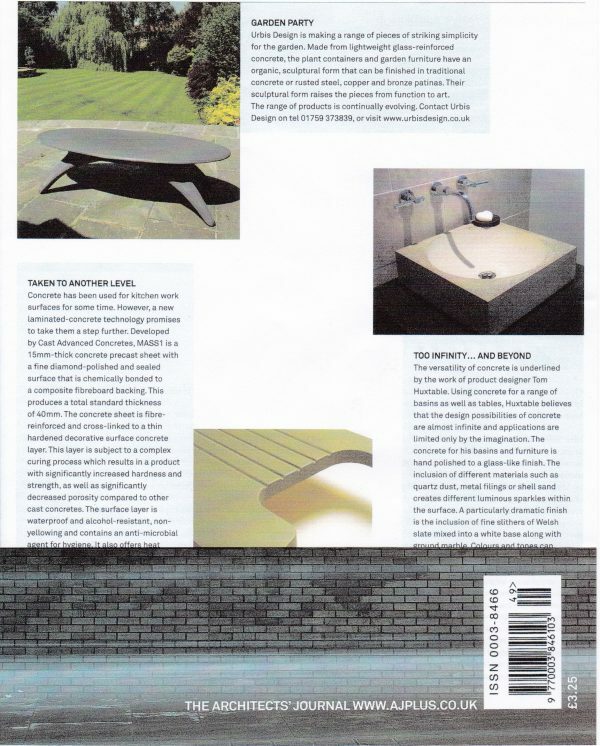 The Architects Journal reviewed Urbis Design products : “Their sculptural form raises their pieces from function to art”. They featured our JFK Bench, our first concrete bench.